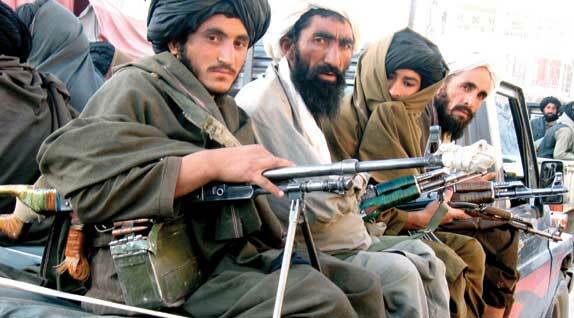 Dhaka, 28 September : The Afghan Talibans have warned Bangladesh against deployment of its army to assist the coalition forces fighting them in Afghanistan. 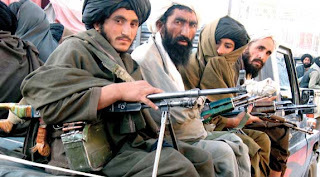 The Times of India, citing the international news agency AFP, on Tuesday ran a report where it said that the Talibans implored the Bangladesh government to reject a US request for sending troops to the war-ravaged south Asian country. The request, which is yet to be accepted by Dhaka, was made by US envoy Richard Holbrooke during his talks in New York with Bangladesh foreign minister Dr Dipu Moni. BSS, Dhaka, 28 September : Bangladesh with the support of the United Nations Environment Programme (UNEP) has taken initiative to prepare the state of environment report of the country focusing on eco-system and adaptation strategies. The report namely "Bangladesh Environment and Climate Change Outlook" (ECCO) will focus on various thematic areas of environment and climate change as mentioned in the Bangladesh Climate Change Strategy and Action Plan (BCCSAP). The report will be prepared and submitted to the government within six months. 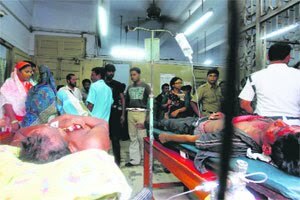 Kolkata, 28 September : Junior doctors of four hospitals in Kolkata called off their four-day strike Tuesday after getting assurances by the police that necessary steps will be taken to beef up security on the hospital campus. "We decided to call off the strike after we were assured by the police that security inside the hospital campus will be increased adequately," said Gourango Pramanik, a junior doctor and convenor of the Junior Doctors Union at Seth Sukhlal Karnani Memorial (SSKM) Hospital. The junior doctors went on strike Saturday after being assaulted by the relatives of a patient for negligence in treatment. The striking doctors later assaulted reporters at the hospital campus, accusing them of biased reporting. Following the incident, five doctors were arrested but later released on bail. A meeting of the representatives of junior doctors was held with the officials of Kolkata Police Tuesday, following which doctors at SSKM called off the strike. The junior doctors of Calcutta National Medical College (CNMC), Calcutta Medical College and Hospital (CMCH) and R.G. Kar Medical College and Hospital also followed suit. BSS, Sangsad Bhaban, 28 September : Bangladesh government has undertaken a plan to expand digital exchange facilities from upazila to village level to bring rural people under the digital telephone network. "Outside of the upazila headquarters, many digital telephone exchanges have already been set up at trade centers or growth centers by the Bangladesh Telecommunications Company Limited(BTCL)," Post and Telecommunications Minister Raziuddin Ahmed told the House today. Replying to a question from treasury bench member Md Shahiduzzaman Sarkar, the minister said the BTCL has also a plan to set up digital exchanges at some growth centers and upazila headquarters, replacing the analogue exchanges. Kolkata, 28 September : State Urban Development Minister Asok Bhattacharya today dubbed Railway Minister Mamata Banerjee's two-day visit to Darjeeling as political and not connected to development. Asok Bhattacharya said the existing toy train in the hills was irregular while work on rail connectivity to Sikkim has not begun even six months after laying of the foundation. "From this people can imagine how far she is interested in development and committed to keeping her assurances to the hill people," he told reporters. BSS, New York, 28 September : Bangladesh Prime Minister Sheikh Hasina has said her government so far had no plan to scrap the caretaker government system despite the "bitter experiences" of the past two years of interim regime. "We have not thought about changing the system," she told a press meet at Bangladesh Permanent Mission in New York yesterday at the fag end of her nine-day tour of the United States to join the 65th UN General Assembly. But, she said, there was no denying the fact that "everybody is annoyed with the bitter experience of the past two years of interim regime in the name of the caretaker government." BSS, Md Enamul Haque, Dhaka, 28 September : State Minister for Environment and Forests Dr Hasan Mahmud said here today that the government has decided to constitute a 'rubber Board' to optimize the production of rubber by streamlining the management of the sector to meet the growing local and international demand of the product. 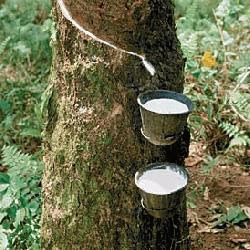 "Bangladesh is already exporting rubber and its volume is expected to rise in the years to come, as it is an integral part of industrial development. Its use has increased with the development of new technology and applications," Dr Hasan Mahmud told BSS. The government has already undertaken a number of steps including rubber plantation under its social forestry programme. Under the programme, a poor man would be provided with an acre of land where 100 rubber trees and 100 other trees will be planted. It has been estimated that the lessees would earn about Taka 15,000 per month from the sale of rubber alone. To increase production of rubber, Dr Mahmud said the government is planning to introduce hybrid rubber plants that will produce more rubber than the present ones. A hybrid plant would produce 24 kilos of rubber juice per year, the state minister added.